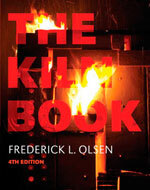 Fred Olsen's "The Kiln Book" has been a text book for all kiln builders for over 30 years. whether professional potters, students, teachers, or amateur enthusiasts. In clear and deatiled illustrations and text, Olsen takes you step by step through all the process of design, choice of fuel, method of firing, materials and construction. At last potters have a book that explains the construction of a kiln in the smallest detail." - F Carlton Ball, former Professor of Ceramics, University of South California. 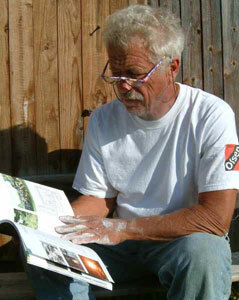 "The Kiln Book has become a tool for so many people around the world that this new edition, with a new format and publisher, has new information, new kiln designs, pictures, updated materials and techniques, should further the usefulness of this book for you past readers and the new readers to come." Arranged into logical chapters THE KILN BOOK deals with almost every possibility of firing technology. Data, conversion tables, technical specifications etc.